Press Release: March 10, 2011 "Flushable Wipes"
The City of Grayson built the original Wastewater Treatment Plant in 1964 at the same location where today’s plant stands, at 691 East 5th Street. 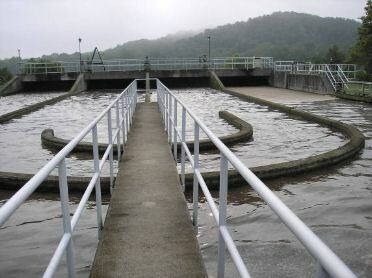 The original plant capacity was less than 500,000 gallons and used a trickling filter operation that used rock media to remove the impurities from the effluent flow before being sent to the river. The original plant also used drying beds as the method to control sludge volume. In 1986 the Treatment Plant underwent a major upgrade to keep up with the growth of the community. The new plant used Extended Aeration as the method of treatment. The upgrade included using the old treatment facility as a thickener tank, and construction of a 966,000 gallon oxidation ditch. The upgrade also included the addition of a new laboratory building along with a belt press that eliminated the need for drying beds. In 1998 the Plant received another upgrade that included approximately 8 miles of new sewer collection lines and lift stations upgrades and additions bringing the total number of lift stations to 12. The plant upgrades included a new return and waste well, new return pumps and telescopic valves to control sludge levels in the clarifiers. A pump was added to the chlorine contact tank, which allows the treated water to be recycled back to the belt press for operation. The plant design capacity is currently 960,000 Gallons per day. 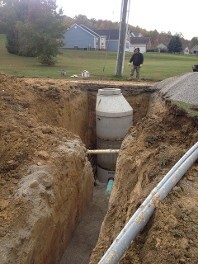 The collection system is made up of 30 miles of sewer line and force mains. There are approximately 360 manholes throughout the system. There are also 12 sewage lift stations throughout the service area utilizing duplex submersible pumps and force main piping to pump the sewage in areas that cannot be served by gravity lines. 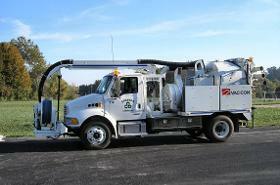 The sewer service area serves approximately 1,500 customers.